Have you heard the bad news? The album is dead. Yep, industry experts are predicting that the album is going to go the way of the Dodo, the Minidisc and the iPod Classic because people aren’t buying as many albums as they used to. Lana Del Rey’s Ultraviolence topped the UK charts this year after selling just 48,000 copies. There were 30 million fewer albums sold last year than in 2009, which is a massive drop in just 5 years. But why? Simple: digital downloads, streaming and YouTube. People can now listen to their favourite song from an album without splashing out on the album itself. Case in point: Lana Del Rey. While Ultraviolence sold badly, the lead single Brooklyn Baby has over 10million streams on Spotify. Naturally, this has led to a few artists giving up on albums entirely; Tinie Tempah and Chris Brown have both said they won’t be releasing another album. It isn’t just pop stars leaving the album behind either; Ian Astbury of The Cult has claimed they won’t be making another album either. Well, we’re not having it. 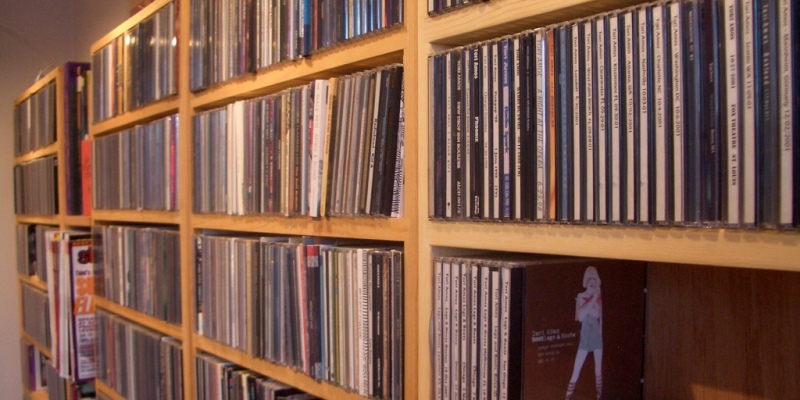 We love albums and we don’t want to see them go – here’s why. Albums aren’t just a random collection of songs. Often, the artist or band behind the record spend hours, days or even weeks perfecting the track list, creating a flow of songs designed to create certain moods or emotions. Buying an album is more than just buying music. You get artwork that has been specially designed to reflect the music, liner notes and lyrics and even the odd free gift (such as a can of Dr. Pepper when Gun N Roses’ Chinese Democracy was released). When is the last time you put on an album and just listened to the singles? Most artists put out their most commercial songs as singles and leave the interesting tracks hidden within the album. Part of the fun is discovering them! Alright, yeah, we know it leads to filler too. But it’s a small price to pay. Now, this is a bit of a controversial point because a lot of people hate concept albums. But we’d miss them if albums disappeared. We like the idea of a story being told over the course of 11 songs, especially if the story is slightly bonkers (Mastodon’s Crack the Skye, for example). Without concept albums, we’ll never have another Sgt. Peppers or The Rise and Fall of Ziggy Stardust and the Spiders from Mars. Reason enough to keep making albums, we’d say. Part of the fun of an album is the excitement and anticipation leading up to its release. The internet and social media means we can now follow bands as they put together their albums, with the occasional preview thrown out to get us even more excited. After all that hype, the actual album release feels like more of an event, something big to be treasured. While we wouldn’t mind getting new songs from our favourite artists every month, it just wouldn’t be the same. What do you think? Has the album had its day? Let us know in the comments. If you’ve finally given up on albums and want to sell your collection, we’ll be happy to take them off your hands. Start selling CDs here!